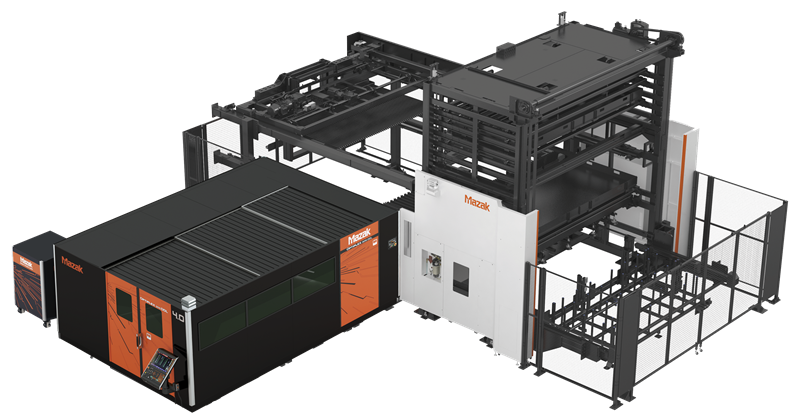 The QUICK CELL 3015 Compact Automation Cell utilizes rugged construction and an innovative design to deliver high performance for fabrication job shops and production environments. The base design is a very compact load/ lnload, which can be configured as a full FMS with 6, 10 or 14 shelves. The number of shelves for material compared to finished parts can be specified at the time of order. QUICK CELL utilizes independent load and unload drive systems, reducing work piece material changeover times. A scheduling unit is integrated into the QUICK CELL to simplify planning and operation. Quick Cell is available in the following configurations.